Jasper Realty Advisors is led by Mark Goldstein, a commercial real estate broker and attorney with deep knowledge and extensive experience in the South Florida market. In a career spanning more than 25 years, Goldstein has advised numerous tenants, investors, and owners, helping them achieve their goals in the region’s real estate market. Mark approached us with a need to establish his business and his brand online as he launched a new business. 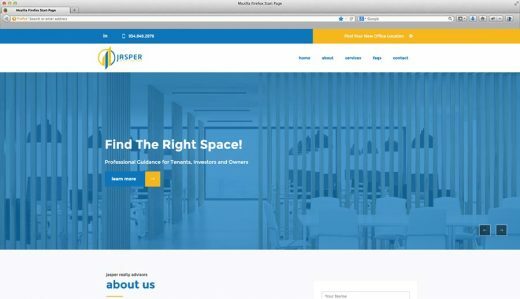 We built the Jasper Realty Advisors website using WordPress as a Content management system and created a custom user experience and custom WordPress theme to give Jasper the look and feel they loved with the power to control every aspect of their website.